Here is the Full review of Latest Tecno L9 Plus Smartphone, its Features, Price, Photos & Where To Buy Tecno L9 Plus Online; Check Everything About The L9 Plus. Tecno L9 Plus is another budget friendly Android phone from Tecno Mobile, it the latest addition to the L series range of phones, an upgrade of the Tecno L9 and a direct successor to the old Tecno L8 Plus. The new L9 Plus is juiced by a massive battery pack of 5000 mAh that can last up to 72 hours on a single charge. That is not all, the new device also features some amazing high-end specs and stunning design. New L9 Plus has got everything you would expect in a smartphone – a large screen, sharp fingerprint scanner, excellent cameras, latest Android™ OS and a notable bigger battery similar to what we have on the Gionee M5 Enjoy. Let us quickly take a look at some of the Tecno L9 Plus phone specs and features. Now let’s get to it. Product History: Tecno introduced its Tecno L3 as the first “L series” smartphone in 2013 to cater for those that care a lot about battery life. Each device in this series is known for its long-lasting battery; usually above 24hours. Tecno L9 Plus comes with an impressively huge 5000mAh battery pack – largest battery you can get on any Tecno phone in the mobile market so far. The battery is excellent and is able to last good 3 days on full charge, a great selling point.That is same battery capacity that the old Gionee Marathon M5 Enjoy has. A 72-hour battery life is guaranteed on this device on heavy usage. In addition to the large battery capacity, the Tecno L9 Plus supports Quick-Charge (2A) with a ‘Boost’ charging feature that gives 40% in roughly 30 minutes from 0%. Five minutes of charging is also enough to take 2000 photos, a win, especially if you are into smartphone photography. The L9 Plus comes with a more stunning designed that is distinctly different from other Tecno L smartphones. It has same plastic body as its sisters, but with a metal appearance that gives it a premium look. It measures a dimension of 162 x 81.8 x 7.99 millimetres (height x width x thickness) which are quite thinner than the L9 and weighs 180g. Tecno L9 Plus comes with a 6.0-inch IPS LCD touchscreen display with a resolution measuring 1280 x 720 pixels while expecting it to have a 1080 x 1920 Pixel Full HD display. Its is got a 244 PPI display density for more immersive wide-angle viewing. The camera department of the L9 Plus packs an impressive 13-megapixel rear-facing shooter and an improved selfie snapper on the front of the device having 5-megapixel. The main camera features LED flash, autofocus and HDR to improve shot quality. 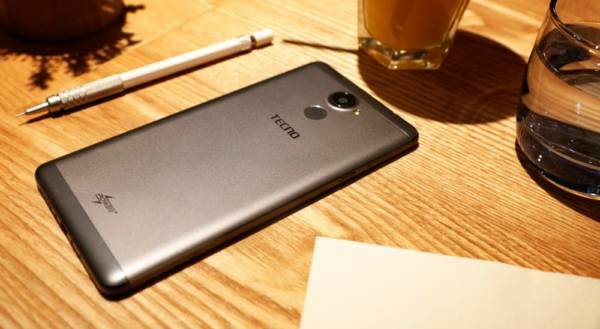 Tecno L9 Plus runs Android 7.1 (Nougat) operating system laced with HiOS (Tecno’s custom UI) on a MediaTek Quad-core Processor clocked at 1.5 GHz coupled with an embarrassing 3GB of RAM. It sports 16GB built-in storage should suffice for handling thousands of photos, songs, videos and apps. It supports up to 128GB memory card. Fingerprint Security: A fingerprint scanner is provided on the rear of the device just under the rear camera for easy touch with the index finger. This works as extra privacy. On the connectivity front, the Tecno L9 Plus supports dual-SIM feature and comes the standard set of connectivity options including Wi-Fi 802.11ac, 3G, Bluetooth v4.2, NFC, 3.5mm headphone jack, and a USB Type-C port. The L9 Plus does not support 4G LTE Network. Tecno L9 Plus price in Nigeria ranges from N60,000 – N90,000 depending on where you are buying the device from. The Tecno L9 Plus has a suggested retail price of Ksh. 14,999 in Kenya. You can, however, rely on Jumia, Konga, Yudala and Slot Nigeria for best price offers on Tecno L9 Plus and other Tecno Phones. What is Tecno L9 Plus Price and Availability Status? You can click on the links below to view the latest Tecno L9 Plus price & availability. KONGA NG |from N13,995 [eafl id=”19699″ name=”Konga NG Tecno” text=”View Price Offers, Click Here”]!